Vienna is a beautiful city with lots of palaces, museums, cobbled side streets and old ornate architecture to explore and appreciate. It’s the perfect place to take a city break and soak up all of the culture that it oozes. As a coeliac, it is a great place to take a trip because there are lots of gluten free friendly restaurants on offer. The viennese seem to be very on the ball and ahead of the game with the allergen situation. A prime example of how seriously allergies are taken in Austria is that restaurants, by law, must detail which allergens (including gluten) are found in every dish on their menu. Great news for those of us suffering from gluten allergies as well as other common allergies, it makes our lives a whole lot easier! The capital of Austria is famous for lots of things, including the Sigmund Freud museum (located in the building that Freud used to work), the grand classical operas and…‘sachertorte’. Sachertorte is a decadent, rich and delicious chocolate cake, that was invented in Vienna by Franz Sacher in 1832. A trip to Vienna would not be complete without visiting one of their grand coffee houses and sampling a slice of their sachertorte, washed down with their other speciality, an Einspänner Coffee (strong black coffee topped with whipped cream). Although not traditionally gluten free, there are plenty of coffee houses around the city that serve gluten free sacher torte, Vienna never runs out of Celiac-friendly desserts after all. I recommend visiting Demel, one of the most famous coffee houses in the city. They have 2-3 choices of gluten free cake daily and this usually includes sachertorte. The surroundings are so ornate, you feel like you’ve stepped back in time from the moment you enter the building. 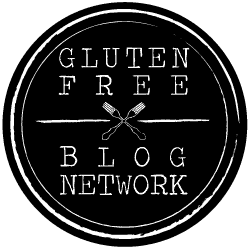 In terms of cafes and restaurants, there are quite a variety of gluten free friendly eateries to enjoy here, which is great news for coeliacs! Motto am Fluss, Schwedenplatz 2, Vienna 1010, Austria. Motto am Fluss is a really cool looking restaurant, located on the river Danube. They have a range of gluten free meals on the menu as well as vegetarian and vegan. It’s a great place to come for dinner, to sit outside on the deck overlooking the river and enjoy an al fresco gluten free meal, or even during the day for a quick drink. They do a range of non-alcoholic and alcoholic cocktails which were yummy! Pizzeria Scarabocchio, Florianigasse 3, VIenna 1080, Austria. A great little pizzeria that serves gorgeous gluten free pizza and pasta. The waiting staff were very friendly and helpful when I informed them of my allergy and the food was reasonably priced too.